Corporate promotional gifts offer businesses an exceptional advertising medium that is versatile, affordable and extremely effective. So what exactly are these gifts and how are they different from any other types of gifts? Corporate promotional gifts or promotional products are essentially items given by corporate organizations to their existing clients, potential clients and their employees as well. These gifts usually feature the corporate logo or the standard company colour scheme so that they can be easily associated with that particular organization. I’m sure we would all admit to being excited when someone gives us a gift. I know it always makes me feel happy. Corporate gifts do more than that. In addition to making the recipient feel special, they also act as an effective marketing tool. Research that was done on the effectiveness of corporate promotional gifts has thrown up some interesting statistics. About 55% of the people who were interviewed said that they generally kept their promotional product for more than one year. Different people had different reasons as to why they held on to the promo product. A whopping 75.5% of recipients claimed that they kept the items because they found them useful, whereas about 20% said they kept the items because they thought the items were attractive and the remaining people had other reasons for keeping the gifts. Whatever the reason for keeping the item, the very fact that the recipients keep them for such a long time is great news for the company that has gifted it. The longer a person keeps the item, the more exposure that the company stands to get. Gives You The Edge Over Your Competition - Today’s business world is highly competitive and the only way to score a lead over your competition is by going that extra mile and offering a little extra. When you give a promotional gift with your company name or logo on it, you are actually enhancing your sale opportunities by creating an increased awareness of the goods or services that you are providing. The bottom line is that these gifts are quite a reasonable price to pay for tremendous potential of increasing your profits several times over. Creates A Strong Brand Identity – Giving away promotional gifts helps create a stronger brand identity with a high recall potential. If you are a new company, this is one of the best and most cost effective ways of introducing yourself to potential customers. For established companies that are launching a new product or service, promotional gifts will refresh existing clients’ memories and reinforce the brand identity, giving further sales a much needed boost. Promotes Goodwill Amongst Those Who Count Most – The continuing success of your company depends on goodwill of your investors, your existing customers, your potential customers and your employees. Giving these gifts is one of the best ways to show that you care for everyone who has contributed to your success. It shows your gratitude to your employees, investors and clients and tells them that you appreciate them and wish to continue interacting with them over the long term. Creates Higher Recall – Presenting someone with a useful gift that you know that they will use is one of the best ways to ensure that they will not forget you in a hurry. It is impossible for anyone to forget about your company while they are using the pen or the keychain or the customized coffee mug that they received from you. How many times have you received gifts that you have just promptly given away or thrown out the very next day? Giving away promotional gifts just for the sake of giving something is a complete waste of money and will do nothing for your corporate image or for your profitability. 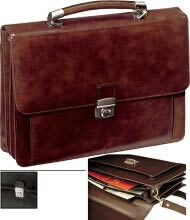 1 Consider The Usefulness And Durability Of The Item – The purpose of giving away business gifts is longer brand recall. The idea is that you want the person receiving it to remember you and your company for a long time. With that in mind, you should consider gifting something that the individual is likely to use on a regular basis so they will think of you every time they use it. The item should also be durable so that the person will think of you for a longer time. Something that breaks easily will just get thrown out and will not serve this purpose. 2 Buy The Best Quality You Can Afford – Don’t just choose the cheapest item you can find. The promotional gift you send will reflect on the image of your company and items of poor quality can damage your image. 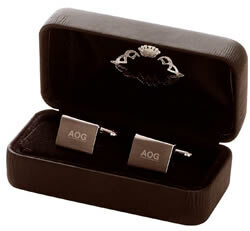 Even if you are on a tight budget you can find smaller items of good quality that you can use as your business gifts. I would advise you to first determine your budget and then look for quality items that fit within your budget. 3 Identify Your Clients’ Needs – I know this can be challenging. Considering that you will have several clients, it can often be impossible to know all of them on a personal basis. The best way to do this is to consider the demographics of your average customers. Taking into consideration the average age group and whether they are mostly male or female. Also take into consideration the cultural differences. Different countries and cultures have their own etiquette for buying and giving corporate gifts. Better not to give a gift rather than give something that will hurt a potential client’s sentiments. 4 Spend on the Packaging Too – Packaging the gift is as important as choosing the right gift and it is worth spending on it. The packaging you choose will make that all important first impression. When you are budgeting for gifts, keep the packaging in mind too.